Given the recent big changes in B.C. politics now seems like a good moment to describe the duties and responsibilities of an MLA. An MLA – or Member of the Legislative Assembly – is your elected representative in the Legislature of British Columbia. Each MLA is responsible for representing a different geographical area, called a “riding” or “constituency”. B.C. is carved up into 87 ridings (each with between 35,000-50,000 people), meaning that 87 individuals represent the 4.6 million residents of B.C. Once elected, MLAs are expected to represent all people who live in their ridings, regardless of differences such as social standing, age, income, or political views. In my opinion, the most important aspect to this is to advance efforts that improve our shared quality of life, both in the riding and across the province. Broadly, my work as an MLA happens in three different categories: contributing to the work of the legislature, finding solutions for issues in my riding, and assisting individual with problems or concerns related to the provincial government. Much of the work I do takes place at the legislature in downtown Victoria. Provincial governments have significant power under the Canadian Constitution to make laws in a wide variety of areas, such as health care, education, agriculture and the environment. As a member of John Horgan’s B.C. New Democratic minority government, I will contribute to this work and give voice to the concerns and priorities of constituents in Saanich South. Another large part of my job is to help solve problems in the riding I represent. For instance, I worked hard to improve safety at the intersection of the Pat Bay Highway and Sayward Road. It used to be one of the most dangerous intersections on the South Island, but after holding several community consultations and meeting with the Ministry of Transportation I was able to secure $3 million in safety upgrades for the intersection. Thankfully, data since the new upgrades has shown a significant decrease in the accident rate. I also assist people who are struggling with issues that involve the provincial government and its various branches. Just since I was re-elected two months ago, I have helped a senior couple access respite care after they were wrongly told they would not be able to; helped a local business owner who was having problems with the provincial sales tax; met with Saanich teachers to discuss issues they are facing in the classroom; and advocated for homeowners worried about the CRD’s Wastewater Treatment Project at the Hartland Landfill. In addition, MLAs who are part of the government often have additional responsibilities such as leading a ministry (which is a section of the public service). Earlier this month I was appointed to the cabinet to serve as the minister of agriculture for British Columbia. This Ministry has responsibilities such as strengthening agriculture and food security, protecting animals and ensuring food safety. Much of this work is done in partnership with the federal government. As a former organic farmer, this role is a dream come true. Detailed information on what I do in the community and my work record is available at www.saanichsouth.ca. It is a privilege to serve as your representative in the government of British Columbia, and I am excited to see what the coming months and years will bring. If you require assistance with a branch of the provincial government, please contact me and I will do my absolute best to assist you. As well, I am always open to your feedback on any provincial matter. 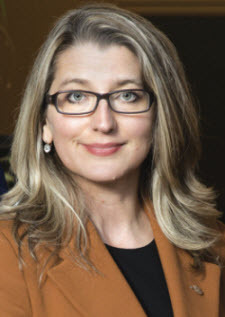 Lana Popham is the MLA for Saanich South and the Minister of Agriculture for British Columbia. Her community office is located at 4085 Quadra Street and can be reached at 250 479 4154.